Today, Friday 21st September, is the day that the 15 competitors in the 8th Défi Azimut will leave the starting line at 5 pm in Lorient for a 24-hour solo race. Based on the expected weather conditions, the race manager, Jacques Caraës, has plotted a 247-mile route. 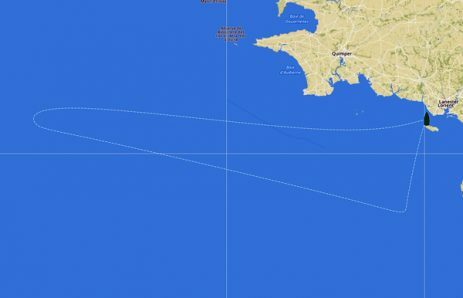 For this last race before the Route du Rhum Destination Guadeloupe, the competitors will be sailing upwind into a well-established west wind of about 15 knots. Once again, as often happens in these small races, the non-foilers will be able to use their centre-boards to gain the advantage in the first part of the race and it would not be surprising to see Paul Meilhat (SMA) or Isabelle Joschke (Monin) out front as they go round the tip of Brittany. The competitors will then have to go through a calm zone before being overtaken by a stronger wind which will send them towards Lorient at a brisk pace on Saturday. For Sam and the Initiatives-Coeur, who have done extremely well in the pre-season races, it will provide the opportunity to pit themselves against the competition under slightly more difficult conditions, particularly Jérémie Beyou with his new boat, the Charal, and Vincent Riou, who, with his new foils (PRB), could easily outstrip everyone else during the second half of the race.